Nothing makes me more excited for the seasons quite like seasonal collections and limited edition products, especially from Lush! I am utterly obsessed with the bath bombs and bubble bars, and when I saw the Easter collection, I practically started salivating. 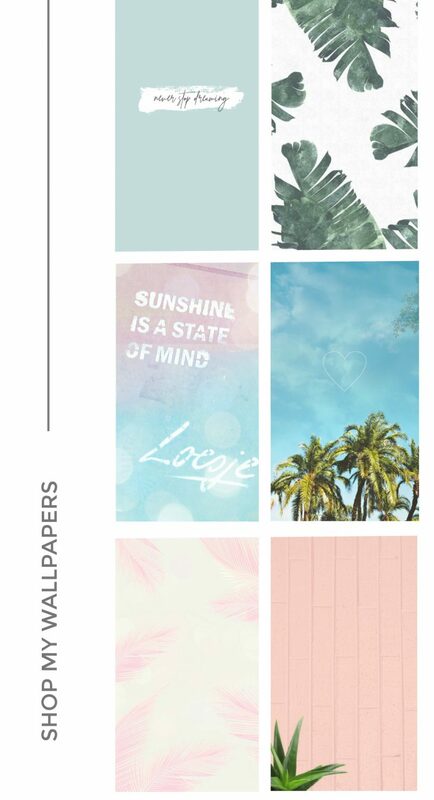 The Easter collection is completely adorable, with bright colours, bunnies, easter eggs, and glitter. Carrot soap: despite having carrot oil, it doesn’t really smell like carrots. It smells utterly delicious, with lemon oil, buchu oil, cocoa butter, and blackcurrant. It leaves the skin moisturized and energized. Bunch of carrots: these adorable bubble bars are lemon and bergamot scented. They make warm-smelling frothy bubbles! Each carrot can make at least a couple baths worth of bubbles so they will last quite a lot longer than the usual bath bombs. Brightside: these super-bright bubble bars turn your bath water a bright reddish-orange with white, frothy bubbles. The scent is a delicious and energizing mix of mandarin, tangerine, and bergamot oils. 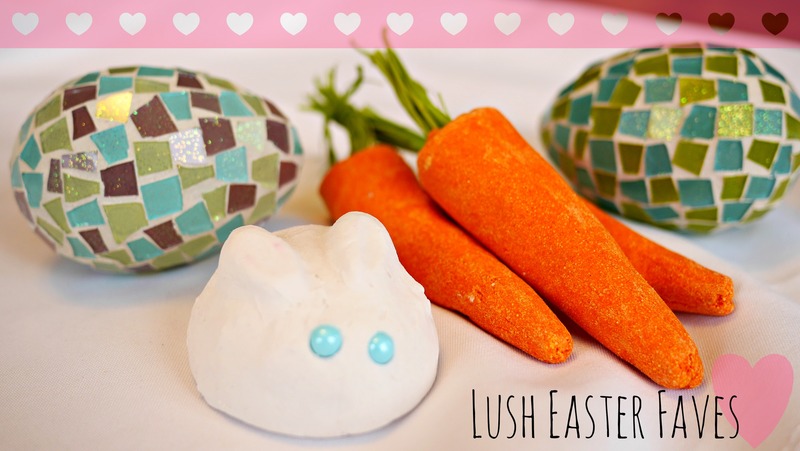 This is a re-promoted item; it was so popular that Lush decided to bring it back for Easter! Like most larger bubble bars, it can be broken into pieces for more than 1 bath. Bunny Bubble bar: this little guy is just too cute. It’s jam-packed with coconut oil and shea butter, and will leave your skin feeling like silk. 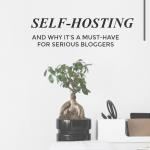 While it is on the smaller side, you can definitely get 2 uses out of it! Immaculate Eggception Bath Bomb: these are so unbelievably adorable. They come in yellow and pink, and are super bright, creating a fizzy, colourful bath. They have Ylang Ylang, vanilla, and grapefruit. Each one is good for 3 baths! If you rattle it, you will notice that it sounds as though there is something inside. There is a surprise in the center waiting to be cracked open! Fluffy Egg Bath Bomb: this is one of the original Easter bath bombs. It’s bright pink with adorable little flowers, and a sweet candy-like scent of cotton-candy and vanilla. Golden Egg: last but definitely not least, this is my personal favourite. 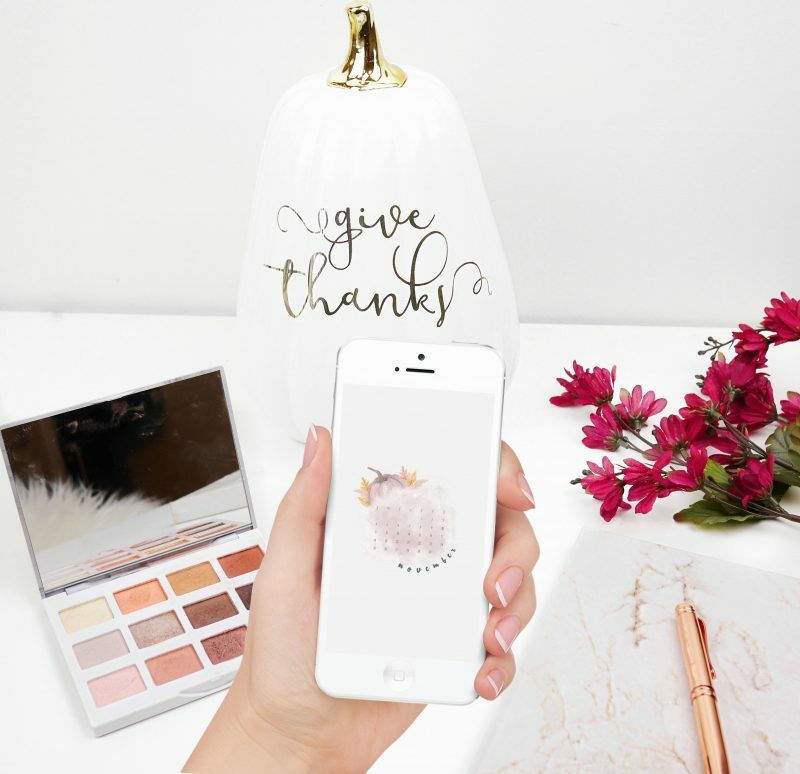 It’s a gorgeously shimmery golden egg that smells of honey and toffee. It has cocoa butter and olive oil to moisturize the skin, and makes your bath water sparkly. My favourites so far are the Bunny bubble bar and the Carrot bubble bars! 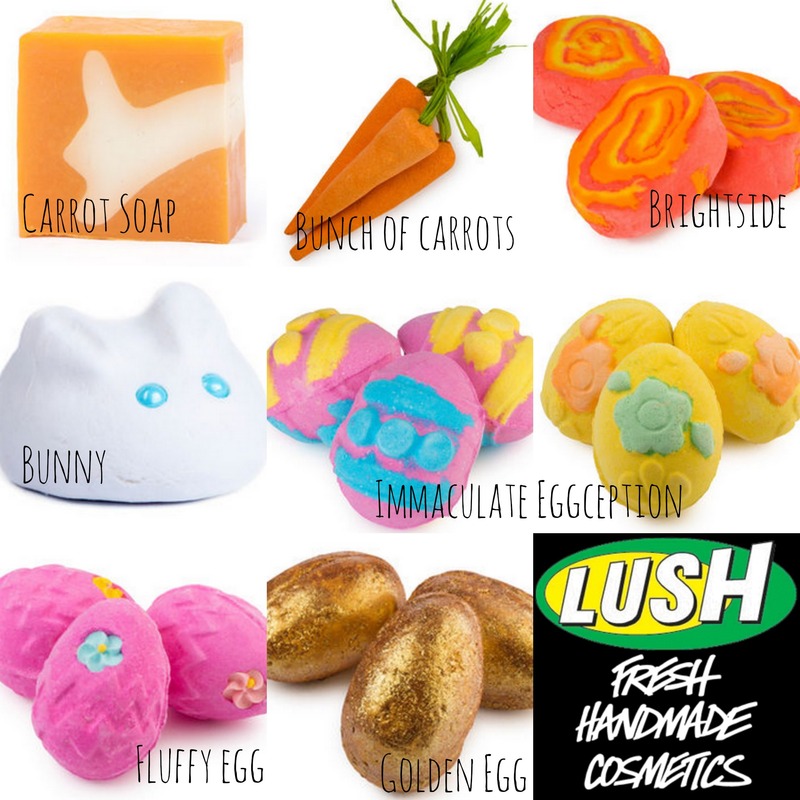 Have you tried any of the Lush Easter collection? What are your favourites? Next Post April Haul: Nyx, Lush, The Balm & More!